Love is in the air. Or so the commercial enterprise that is Valentine’s Day would have us all believe. I’ve never been a fan of showing your loved one you care on a specified day because, well, you’re told to. Ridiculously overpriced bunches of flowers and heart shaped chocolates aside, we do all like to know that someone cares about us; on any given day of the year. It’s the same for brands and their customers. Show your customers you care and they will reward you with their loyalty and possibly their love. 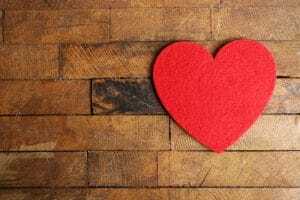 Here are 5 ways to make your customers fall head over heels in love with your brand (or at least have a more positive customer experience)! Think about your nearest and dearest. What makes them “the one”? A huge part of what you love about them is likely less about them and more about you (we’re a narcissistic bunch). It’s the fact that they know and understand you so well. Your relationship with them is effortless because they know what you need. This has to be true for brands and their customers if they want to create a meaningful relationship with them. Use your customer data to really get to know and understand your customers individually and shape an experience that is tailored to them. If you can identify what they need before they know that they need it (via predictive modeling) then you’re really going to get it on! Ever been on a first date and got the impression that the guy (or girl) sitting across from you is less interested in you as a person and more in the idea of having a partner? It’s not the best approach for securing your happily ever after. It’s the same for the customer / brand relationship. Customers want to feel that you know and are interested in them individually. Not merely in having customers and ultimately making revenue. You’ll achieve this by highly personalising the brand experience across all touch points. This is so much more than including their first name in the subject line of eDMs or printing their name in the clouds on a postcard. It’s about letting them shape a brand experience that is uniquely tailored to them. I’m no relationship counsellor but I would assume that a controlling relationship in which one partner dominates and dictates to the other, is not going to be a happy one. More harmonious relationships flourish when the balance of power shifts between the two people in the relationship – the true definition of a partnership. Similarly with your customers, you need to enable them control over their relationship with you. This encompasses every stage of the customer lifecycle from providing a range of tailored products or services for your customers to choose from through to allowing them to determine how and when they want to hear from you. I firmly believe that simply being nice is a basic requirement for rewarding human interactions whether they are relationships, friendships or a quick chat with the checkout chick when you buy your groceries. Businesses who are nice to their customers differentiate themselves from competitor brands who are not and create a far more positive experience. Be nice by simply saying “thanks” or “we value your business”. Say “Happy Birthday” or “Happy Valentine’s Day”. Ideally, say it with a personalised offer versus a $10 gift card but either way, do something that shows you care. In our personal lives we tend not to continue spending time with people that aren’t nice to us (or at least not by choice). We gravitate towards relationships that make us feel good. The same is true for brand interactions. So just, be nice! No relationship works without both parties listening to one another. The days of “talking at” your customers via mass broadcasting are a distant memory. If you’re old enough you’ll remember the “good old days” of advertising when all a brand had to do was tell customers how attractive / successful / happy they would become if only they consumed their product. Add a sharp tagline and you had advertising gold. Nowadays it’s about creating a dialogue, engaging in a conversation. Of course, use data to inform and provide valuable insights into what your customer needs but don’t do this at the expense of actually asking your customers what they want and listening to what they have to say. Consistently survey your customers for feedback and benchmark their responses against previous dialogues they have had with your brand.